Clever title, no? I promised you this post a few weeks ago, and time got away from me. Obviously, anytime you organize a space, it’s going to be an individual experience. My belongings won’t necessarily be the same as your belongings, ya know? So this is just a “general advice” post for you to show you how I approach it. Perhaps the most exciting part of this newly organized closet was the installation of drawers. If you can somehow make it work, I highly suggest it. As a matter of fact, I’ve put dressers inside of closets before just so I could have the drawer space. 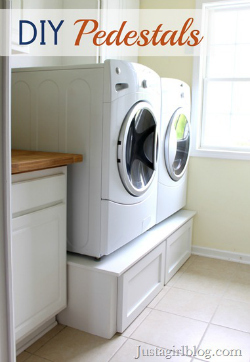 It’s not necessarily rocket science, but closet organization takes maintenance. All of little one’s clothes are grouped together. 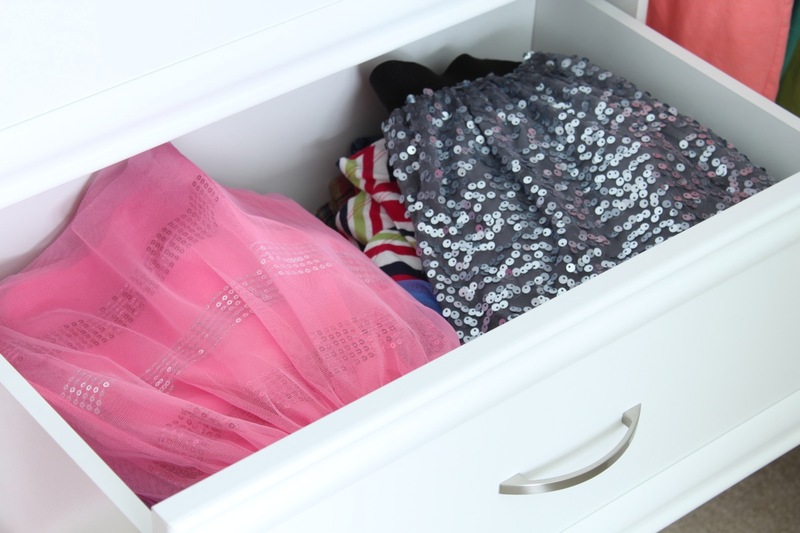 Skirts in one drawer, pajamas in another–you get the idea. The hardest part about this concept is making sure it stays that way. It’s a constant battle with a young one who just wants to throw her clothes in drawers and ask where all of them are when she needs them. I make it a point to go up there often and tweak things as needed to make sure they stay in their rightful place. Aside from maintenance, my biggest piece of advice is to PURGE. I can’t say it enough. Kids grow out of clothing very quickly (or wear them out), and you need to flush that stuff out as soon as possible. Donate whatever they can’t wear so that their current clothes stay neat. My next tip? Containers! Containers in every shape/style/size you can think of. When attacking something like this, I make a list of all the things I know need to be contained. Then I shop for the basket/bin/box that I’ll need to control it. While I don’t have them in the picture below, my little one is a journal/notebook junkie. She’s always got some cute little book that she’s writing or drawing in, so the magazine holders were a must. 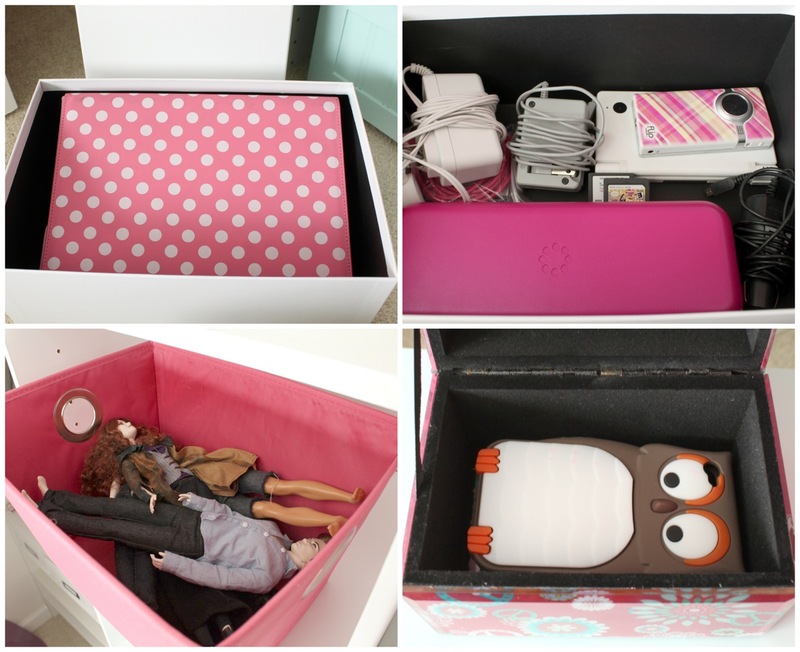 The photo boxes are a great way to gather all the little stuff–nail polish, random toy pieces, etc. And of course, the DIY jewelry tray is working out brilliantly. She uses it constantly. The older she gets, the more electronics she’s collecting. I have a spot for alllll those cords and small devices that need to be put together. Unfortunately, (like her mother) she’s got a bit of an obsession with iPod covers We have a whole pretty box full of them. And of course, Twilight. She doesn’t play with Barbies anymore, but she wanted to keep her Twilight dolls. So there they sit–collecting dust for another day. So that’s how I control most of the little stuff. 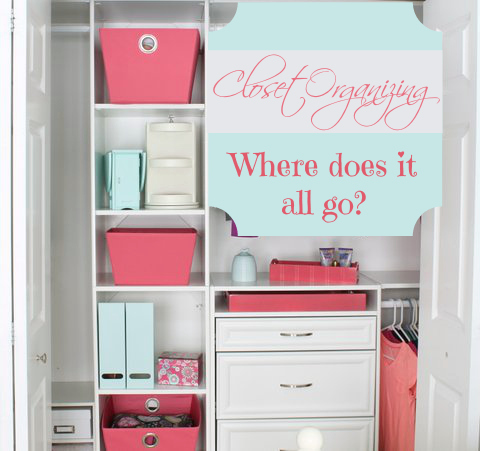 If I simply purge and maintain, it makes organizing a LOT easier! Love your closet! It’s huge! And so cutely color coordinated! Lovely! I love the palette you chose. This is great! I just finished re-organizing my 3 year old’s closet but it doesn’t look anywhere near this cute. 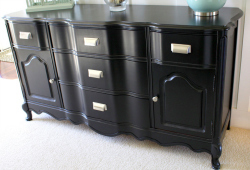 I really love the drawers! The closet looks amazing. Would you mind sharing the sources of all those organizing bins, baskets, boxes, etc. PLEASE! I would love to know where to find similar items. Thank you!! That is a great use of space. ummm….I also kinda want your daughter’s wardrobe…lovin all the sparkle I see! Lol! Yes…the girl likes the glitz. Too funny! 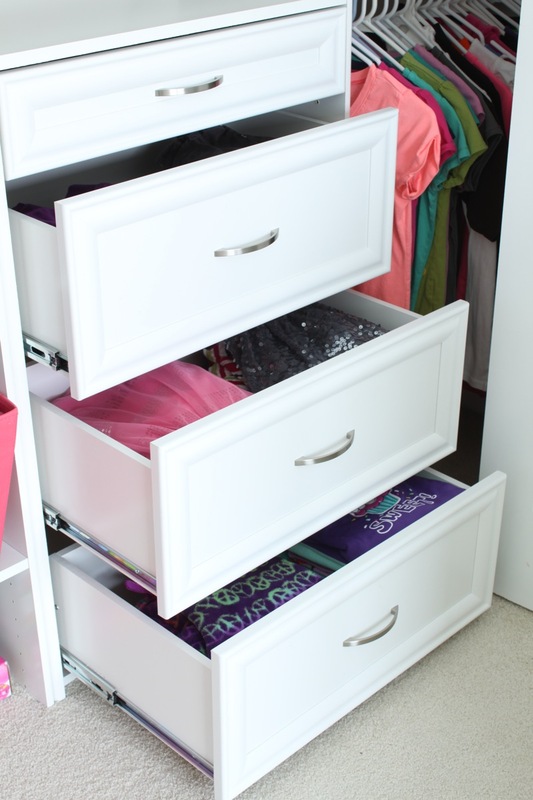 I love her closet drawers! I so want to add those in my girl’s closet. The Twilight dolls will probably be worth something some day. 😉 You should definitely hang on to those! 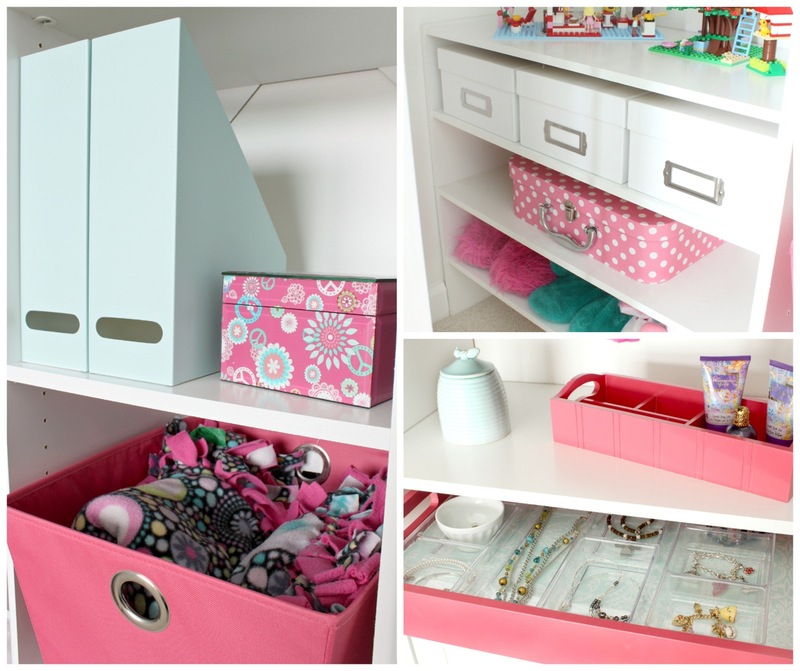 I love your newly organized kid’s closet – especially the pink and white storage containers! 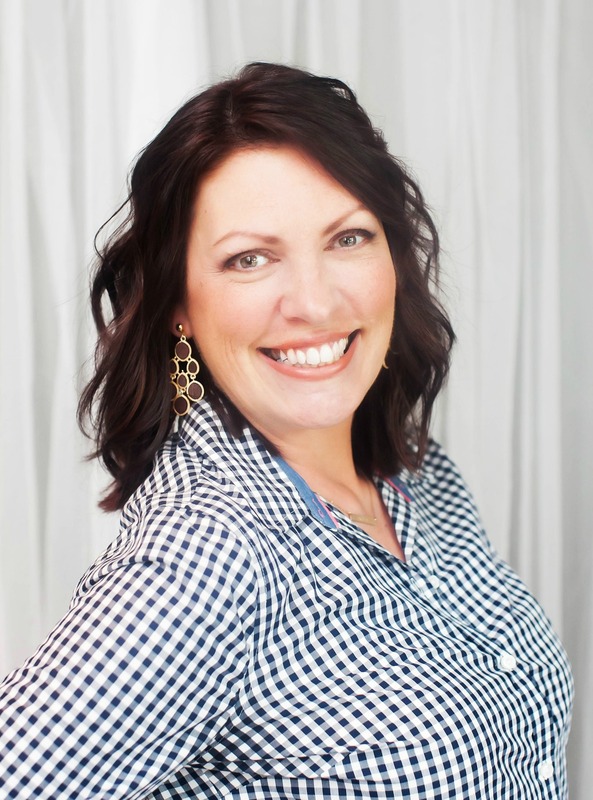 Your biggest advice about purging is certainly true! 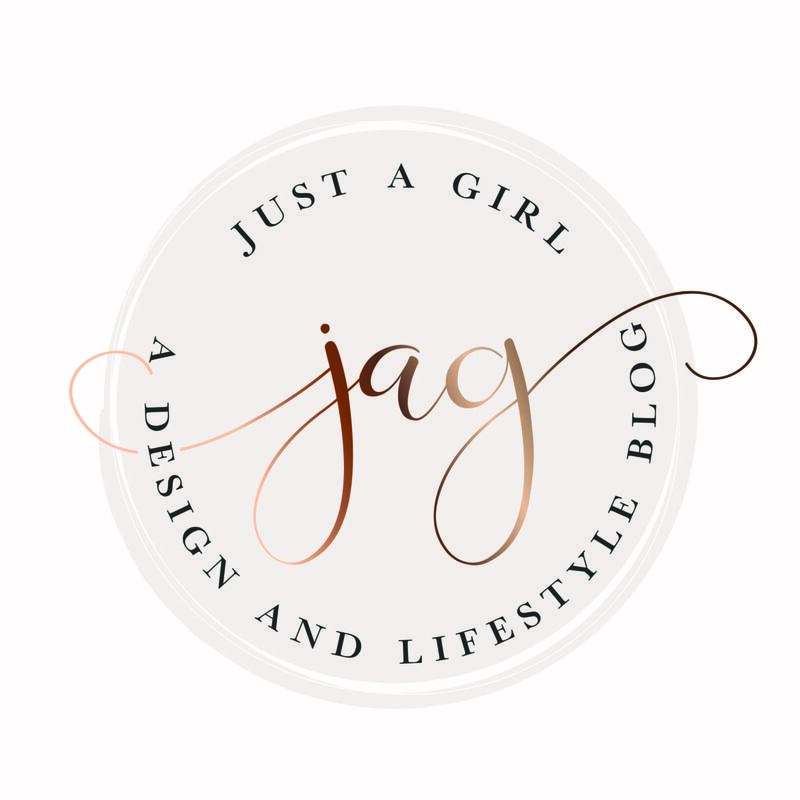 Another piece of advice – label EVERYTHING! 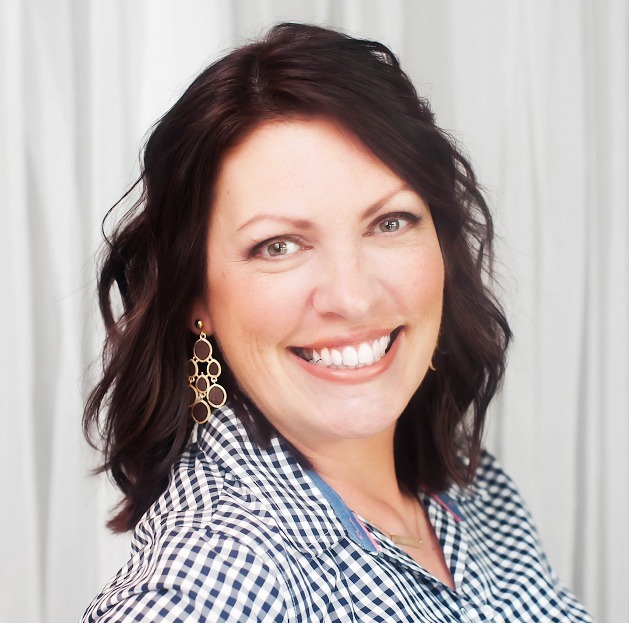 Hopefully, over time, your daughter will develope good organizational habits – she has a mom who is modeling the behavior, so it’s a good probability. Good luck!